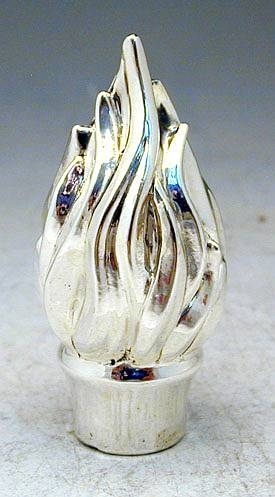 Flame Miniature Exquisite artisan sterling silver flame miniature. 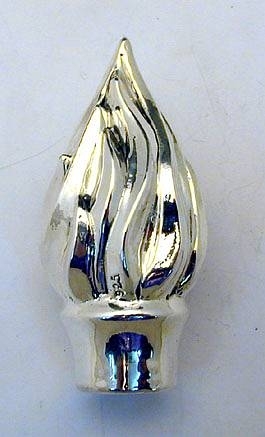 This great miniature is superbly executed as an highly detailed flame. This item was made in the electroforming method. Measurements: Height: 7cm. / 2.75in. WIdth: 3.5cm. / 1.4in. Weight: 33gr. / 1.06oz. Marks: 925 for sterling silver.